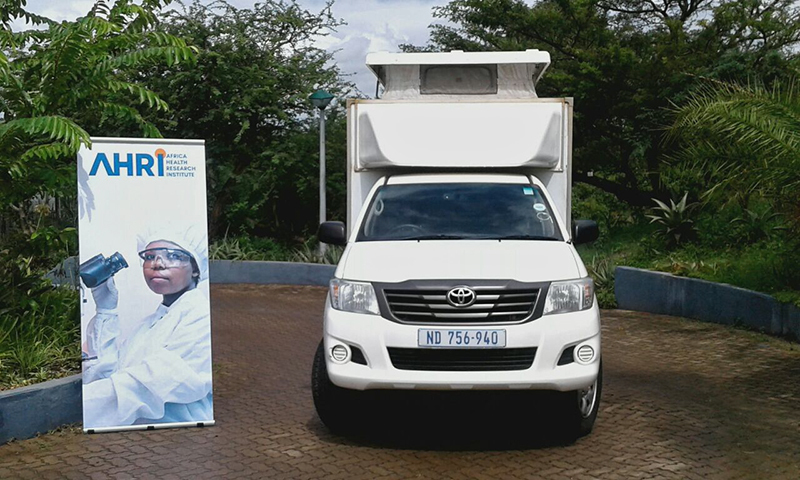 As part of its commitment to help improve the quality of life for people living in uMkhanyakude District, AHRI has donated two mobile clinics to the KZN Department of Health. The vehicles will be used to service the communities of Hlabisa and surrounding areas, and AHRI hopes this donation will go some way to improve access to primary healthcare services here. KZN Health MEC Dr Sibongiseni Dhlomo expressed his sincerest gratitude and appreciation to AHRI for joining forces with his Department in fighting disease in the province. “These mobile clinics will add to the existing fleet to ensure that primary healthcare is delivered to even those who reside in remotest areas of KZN. Despite our efforts the scarcity of resources, vastness of our province and demand for healthcare services means we are not always able to build enough clinics to cover its entirety. Therefore, a donation such as this one strengthens our capacity and reach, ensuring that more people will now have access to primary healthcare, which is an important aspect of life. People’s ailments will be detected early, so that we can intervene and heal them early enough. Lives will be saved, and to us, that means everything. So, we greatly appreciate what AHRI has done,” Dr Dhlomo said.